FSTOP123 - Outstanding Stock Photography - Girl Power! Science, Technology, Engineering, and Math are all subjects once associated with men... but no more! As more and more women enter these fields, we felt a shoot to celebrate "girl power" was overdue. We recently worked with a mixed-age range of strong women who embodied this shoot for us. 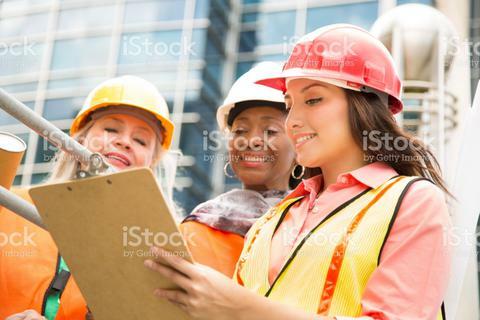 In the scene above, the multi-ethnic group of female engineers or architects finish up their recent design project with a modern skyscraper in background. Thanks so much to our wonderful talent for another successful shoot!